Posted 2:39 pm by sallyleeds & filed under News. 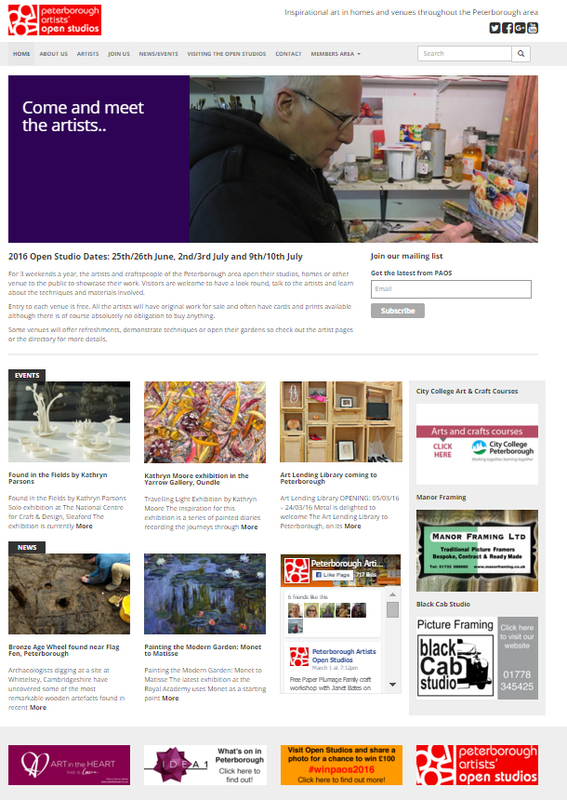 RedTomato was approached by the Peterborough Artist Open Studio committee to breathe new life into their website. The brief included the requirement for individual artists to be able to register to join PAOS, pay their membership on the site and manage their own area showcasing their work. Go to http://www.paos.org.uk to see the new site.